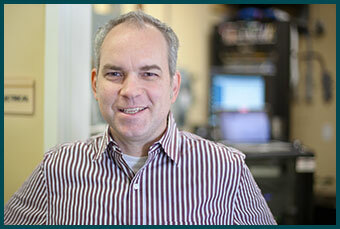 Chris Peck holds a BSEE in Electrical & Computer Engineering and brings nearly 20 years of experience in Embedded System Design, Software Development and IT Systems Administration. His work in Medical, Industrial Control, Automotive and Service industries provides a wide range of application experience from which to draw. Chris is CompTIA A+ trained and is a Kerio Connect (E-mail) – Certified Technical Professional. Having been a Service-business owner himself, Chris understands the needs and dynamics of Small Business. He supports our valued customers with kindness and attention to detail in the areas of Network Administration, Kerio E-mail, security, data-storage and web services.